This yummy mix is the perfect addition to a cool fall night by the fire! Taffy Town’s Harvest treats mix includes Cran-Raspberry, Candy Corn, Caramel Corn, Pumpkin Pie, Maple, Pomegranate & Caramel Apple flavors. 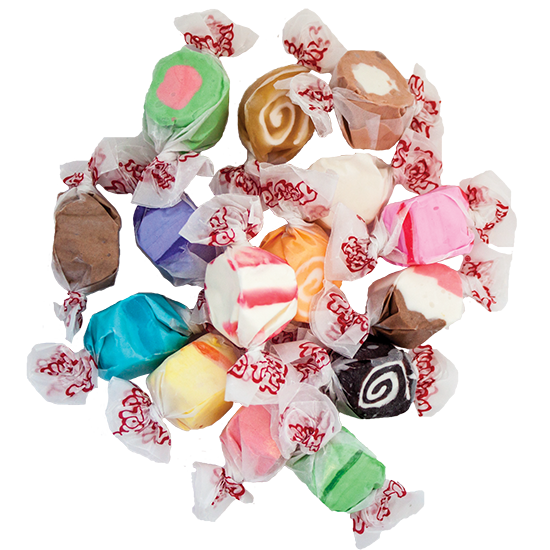 Taffy Town’s salt water taffy is the perfect addition to any fall gathering or even Thanksgiving dinner! Packaged in attractive jars with a tin lid embossed with our Taffy Town logo, this item makes a great gift or souvenir option.